In 1930, a 23 year old John Wayne was cast as the lead in one of the last silent westerns called THE BIG TRAIL, directed by Raoul Walsh. Two years prior to this film he was working in the prop dept at 20th Century when John Ford met him. It was Ford who recommended John Wayne to Raoul Walsh. 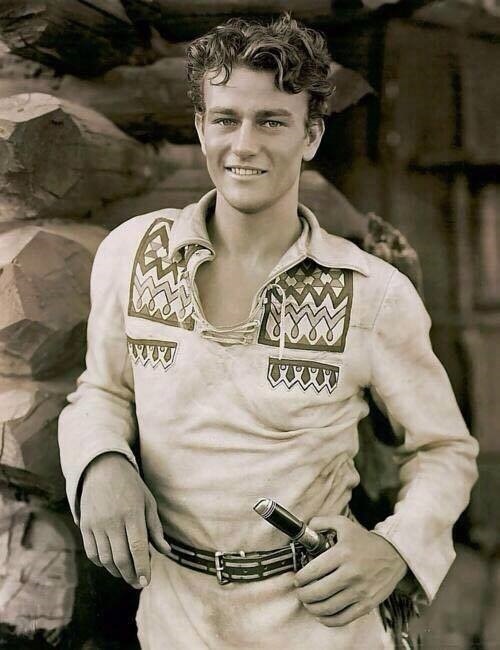 It took ten more years for John Wayne working in 100s of B westerns out of Republic Pictures before John Ford cast him as the lead in Stagecoach in 1939. He became the mega star and an American Icon. On the morning of August 7th, 1974, a little more than a year after the WTC opened, Philippe Petit, a quarter of a mile in the sky, begin a tight rope walk across the 130-foot gap separating the North & South World Trade Center Towers. The walk, made during the deepest part of the early 1970’s recession, marked a turning point for both the Twin Towers and New York City. This short documentary clip shows original news footage of the event and interviews the people who were there that day. The top item on that list was to end partisan gerrymandering: “we have to end the practice of drawing our congressional districts so that politicians can pick their voters, and not the other way around,” Obama said. What a joke, Mobamahad has made so many changes to the voting districts it’s insane now! Monday, Kendrex White was taken into custody after he went berserk with a machete on the campus of the University of Texas at Austin. He killed one and left three injured. In 2012, before White was a student at UT Austin, he made a 14-minute, poorly produced video at his home that shows Kendrex White and his classmates reenacting the murder of white people by Haitian political figure Dutty Boukman. The video is chilling and over the top with excessively violent moments. The video, entitled “Haitian Revolution”, is a chilling precursor to the type of violence that White would act on later. The Haitian revolution involved the specific targeting and killing of white women and children.